Our first interstellar visitor makes its exit. On October 19, 2017, an astronomer at Haleakala Observatory in Hawaii discovered the first known interstellar object to visit the solar system. Using the powerful Pan-STARRS telescope, Robert Weryk found a small, elongated object roughly 1200 ft x 100 ft that was originally thought to be a comet, but was later reclassified as an asteroid. This visitor has stirred up many areas of intrigue that have had scientists and astronomers racing to learn more as it makes an abrupt exit from our solar system. In fact, by January of 2019, the object that was just discovered near the center of the solar system in October of 2017, will have traveled all the way to Saturn's orbit. Use SkySafari 6 to open the below-linked SkySet files (click images) to get a look at Oumuamua's path as it hurtles through the solar system and an amazing view from Oumuamua's perspective! Reaching speeds greater than 195,000 mph while passing the sun, it has been discovered Oumuamua is actually tumbling in a haphazard fashion rather than rotating or spinning like most asteroids. This likely speaks to a serious collision the asteroid encountered; perhaps a collision that contributed to the object entering our solar system. 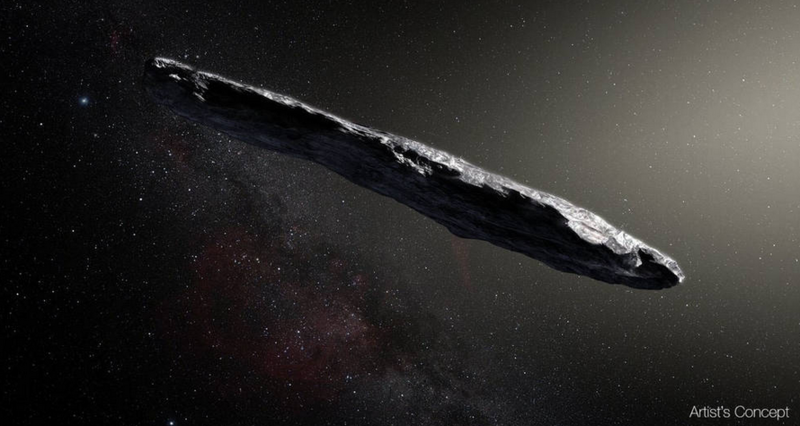 With all the excitement surrounding this asteroid, scientists are actually making plans to intercept the next interstellar visitor! Hopefully enough can be learned about Oumuamua in the little time we have left to help make that goal a reality. SkySafari is available for Android/iOS mobile devices and macOS computers. SkySafari 6 is newly released for iOS & macOS. Click below to download the SkySet files. The best astronomy app just got better! Packed with new features & expanded databases, SS6 makes observing more efficient, elegant & entertaining than ever before! Are you ready to take the Universe to the next level? SkyFi III is our WiFi-to-Serial/USB adapter, designed for wireless telescope control. If you have a computer-controlled GoTo telescope, SkyFi III can use the WiFi capabilities built into your computer and your iOS or Android device to point your telescope in the sky! The easiest way to turn your iOS device into a 21st-century telescope controller. 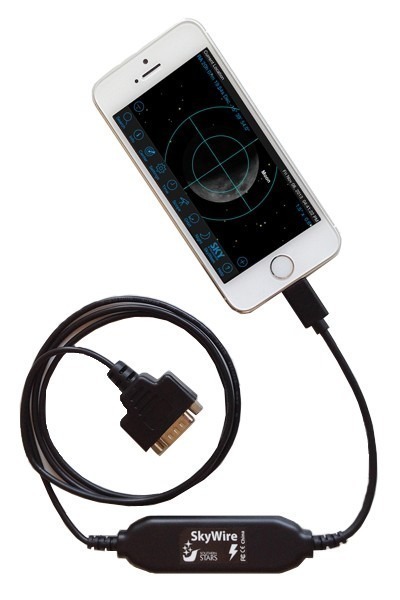 This plug and play accessory adds an RS-232 port to your iPhone, iPad, or iPod Touch - and lets it connect directly to the serial port on your telescope.